Moments like seeing himself portrayed in a video game for WWE 2K19 is further proof to Shinsuke Nakamura that he is living the equivalent of the American Dream. The Japanese superstar made history winning the Royal Rumble this year, spent months in main events going for the WWE championship and is the current United States title holder. The “King of Strong Style” is grateful for the opportunities and that his likeness in the new video game captures Nakamura’s unique idiosyncrasies. “The motion character actor did a really good job. For the entrance, everything comes from the feeling from that day,” he said. Fans have gravitated toward Nakamura’s Michael Jackson-like moves and rock star presentation. However, WWE went in a different direction with him during WrestleMania against AJ Styles. They’ve met before in New Japan Pro Wrestling. However, this was a chance to turn one match into a heated rivalry. A big part of the story between the two was Nakamura using underhanded tactics including a low blow. In Nakamura’s eyes, his onscreen persona isn’t a character. It’s more like a different aspect of himself. The veteran takes inspiration from the way he came up in the business. Among those who had a great impact on his life is Masahiro Chono and Minoru Suzuki. “I was Chono’s young boy. I trained with him a lot. He loved driving. I just sit by his side learning,” he said. “He also likes to talk about building the matches, how to show yourself. I learned a lot from him. 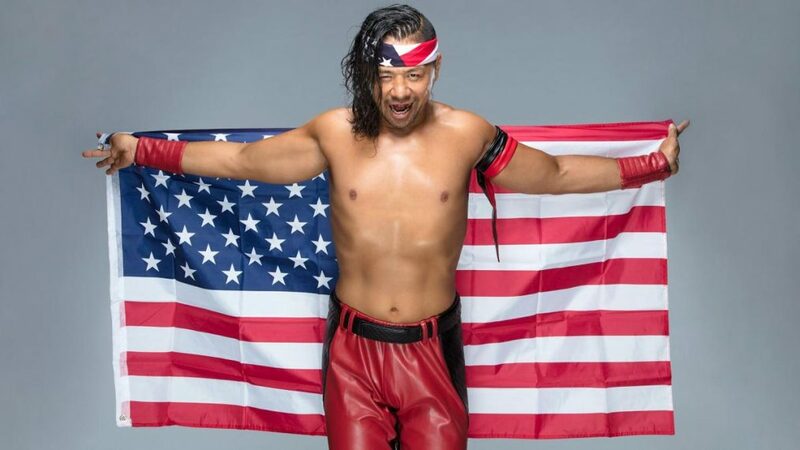 Nakamura is honored to be United States champion knowing its long history. He wants to make it the biggest title on SmackDown Live. The consummate performer has enjoyed acclimating to American culture and entertainment. When he isn’t wrestling or training, Nakamura likes to Netflix and chill. The 'SmackDown Live' superstar sits down at a 2K media event to bring insight to the changing landscape of WWE and beyond. Looking at Nakamura’s accomplishments thus far in WWE, he is arguably becoming the most successful superstar to come from the Orient. The champ is proud of the representation within the company with others who have followed and blazing their own trail. “This is big for Asians, not only for Japan. Everybody wants to get these opportunities,” he said. “Kairi Sane, Io Shirai achieved and accomplished a lot in Japan, but they wanted to wrestle in a bigger stage. Only place is WWE right now to do that, and their decision was correct. They made the right decision. “Moving to the United States is a huge decision. There are wrestlers in Japan. I think they think they can move to WWE, but it’s not so easy. There is the language. I can speak English a bit, but I’m trying. "I wanted to challenge myself. I wanted to enjoy my life and challenge myself. That’s why I came here. I came with my family. It’s a lot, so it’s not just wrestling. I’m proud to be here.